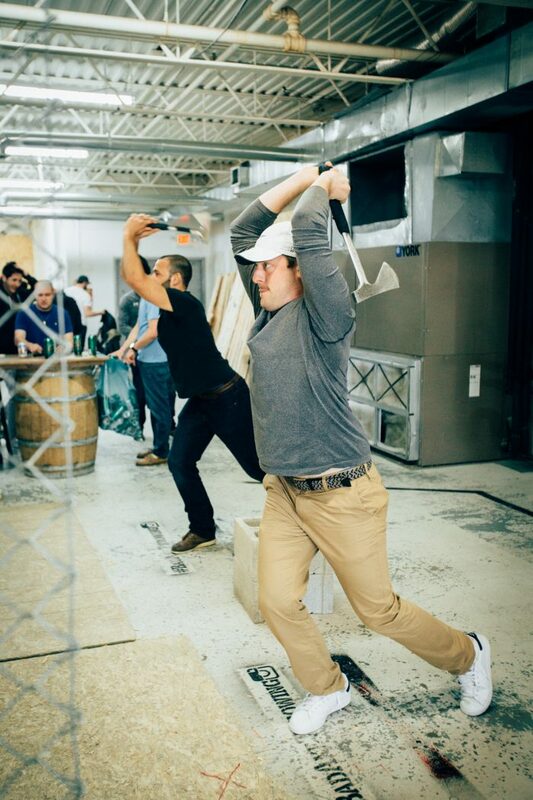 Want to battle your friends in an epic match of Axe Throwing? Bad Axe Throwing is the ultimate destination for your axe throwing tournament! Our professionally trained coaches will prepare you for your tournament when you decide to battle it out and crown a champion! For those who have never been a part of a Battle Axe Throwing experience, we’ve created this post to give you an insight of what to expect when you visit us. 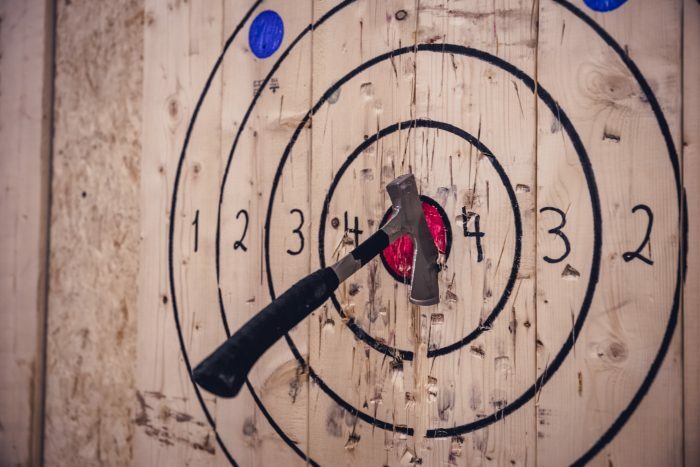 Whether you’re looking to book your friendly competition in Ottawa, Kitchener, Toronto or any location, the experience with Bad Axe Throwing will be the same from one location to the next: simply awesome & addictive. Book your battle now! What is Battle Axe Throwing? Is the competitive side of the recreational sport of axe throwing. Bad Axe Throwing specializes urban axe throwing events catering to birthday parties, bachelor(ette) parties, corporate events and any other type of event you are looking to host with us! Each event is structured to provide an orientation, demonstration on how to throw an axe, practice round and round robin tournament in a leisurely fashion. Whereas Battle Axe Throwing is designed for the competitive spirits who are looking for something with a bit more of an edge! These events are created for those serious about urban axe throwing and taking it to the next level by competing against fellow axe throwers. 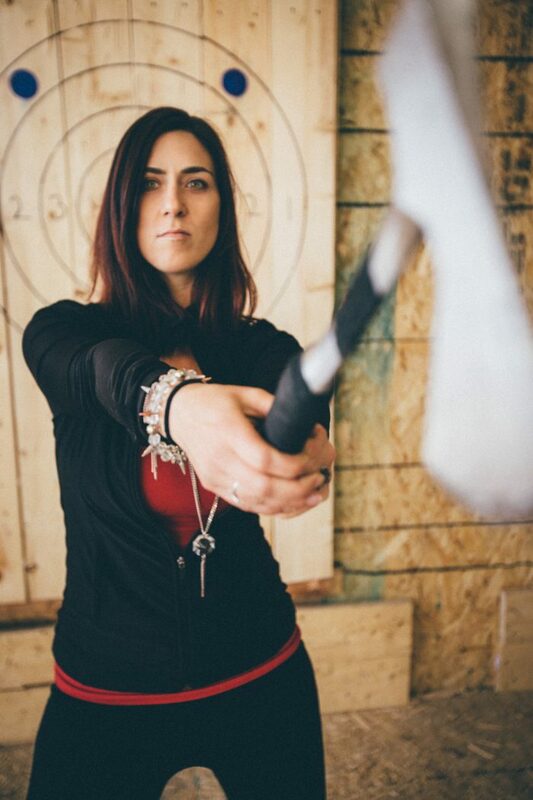 What’s included in the Battle Axe Throwing Experience? We train you: We want to ensure that you’re ready to hurl axes and watch the wood explode as you nail the bullseye. We practice: Prior to starting the actual tournament, we’ll conduct a round robin tournament to rank you when the final Battle Axe Throwing tournament begins to ensure it’s fair for all. We send you to battle prepared: This is where the good stuff begins! We’ll place you in a tournament style bracket. You will battle it out with your friends to see who will make it to the final championship. The winner takes all the glory and bragging rights! Who is Battle Axe Throwing For? If you and your group have a competitive edge, Battle Axe Throwing is for you. Whether your tournament is against family members, friends or co-workers you are bound to have a riot! This recreational sport is nail biting and exciting even for the spectators who couldn’t make it to the top of the tournament. All skill levels are welcomed! How to prepare for your battle? Like with any sport, training is essential, it’s no different for axe throwing! Bad Axe Throwing offers leagues that run for a total of 8 weeks, allowing you to perfect your throw, technique and prepare you for your next battle. 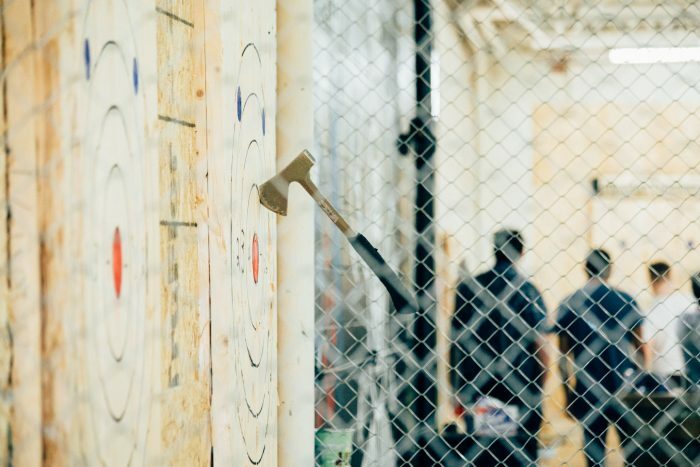 Leagues are typically run on weekday evenings and you and your fellow axe throwers get 2.5 hours of axe throwing, allowing you to channel your inner lumberjack/lumberjill. Our axe throwing coaches will teach you different throwing techniques such as the one handed throw, two handed throw, the underhand etc. Leagues will also allow you hone in on your axe throwing skills at hitting the bullseye or the blue balls to get top scores. The best part, is that one your register for leagues, you just need to show up! Bad Axe Throwing supplies all the materials and axes for league nights. You do not have to purchase or bring an axe of your own.